As we are walking in to the Air and Space Smithsonian, we finally start a conversation. "So why did you look so scared of death in Fury&apos;s office? I&apos;ve never seen you like that before. What did you see on that hard drive?" he asks me. I pulled him around the side of the museum and look him dead in the eye. "I saw a picture of David." I start to tear up. "And, it was information about him and... and I... I didn&apos;t know what to do..." I start to cry. Steve pulls me into a hug and I start to have a panic attack. My breath starts to get really short. I start to shake really bad and I start to get a choking feeling. "Hey, Rach, you&apos;re okay." I keep breathing really heavy. "You&apos;re okay." he keeps repeating. After a while, I start to calm down. My breath evens out, I stop shaking and start to hug him back. I try to match my breath with his. "Are you ready to go in?" Steve asks me. "Yeah, I think I can survive." I say, still shaking a little. He takes my hand and leads me into his exhibit. A symbol to the nation. A hero of the world. 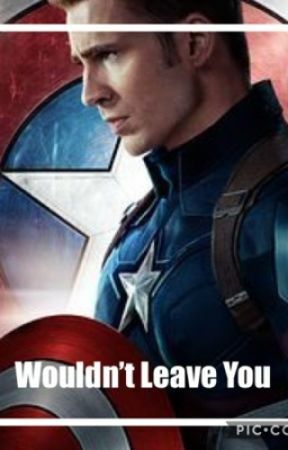 The story of Captain America is one of honour, bravery and sacrifice. Denied enlistment due to poor health, Steven Rogers was chosen for a program unique to the annals of the American warfare. One that would transform him into the world&apos;s first Super-Soldier. We walk over to some screens that are set up behind his old motorcycle. I hold on to his hand and lean into his side to let him know that I am here for him. We walk away, over to the Howling Commandos display. Battle tested, Captain America and his Howling Commandos quickly earned their stripes, taking down HYDRA, the Nazi-rogue Science Division. We walk away from the big exhibit to the small one for Bucky. Best friends since childhood, Bucky Barnes and Steven Rogers were inseparable on both schoolyard and battlefield. Barnes is the only Howling Commando to give his life in service of his country. I look up at Steve. "I think I should be asking you that. I mean, you just had a panic attack." he says. "Let&apos;s go to the next exhibit." I say. We walk into the screening room and the film starts. It&apos;s Peggy talking about one of the battles. That was a difficult winter. A blizzard had trapped half of our platoon behind the German line. 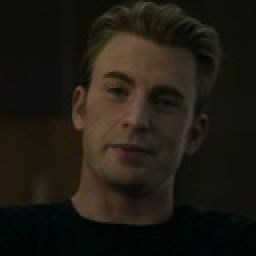 Steve, I mean, Captain Rogers, he fought his way through a HYDRA blockade that had pinned our allies down for months. He saved over 1,000 men. I looked over at Steve. He was holding a compass. He opens it and he looks at a picture of Peggy. I feel something deep in the pit of my stomach. I don&apos;t know what it is, but it makes me feel sick. Including the man who would... Who would become my husband, as it turned out. Even after he died, Steve was still changing my life.